Any hard-core history geek knows the thrill of visiting places where one’s favorite historical figures lived, worked, or otherwise stayed. Perhaps even more thrilling is getting a first-hand look at objects and manuscript materials related to said historical figures. This is certainly the case for many Vivien Leigh fans. 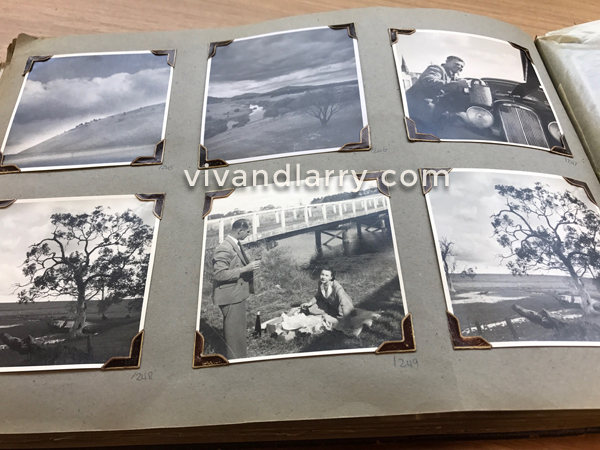 Long-time friend of vivandlarry.com, Shiroma Nathan, is a Vivien Leigh fan in Australia who recently took the opportunity to go where very few fans have gone before: The National Library of Australia in Canberra. 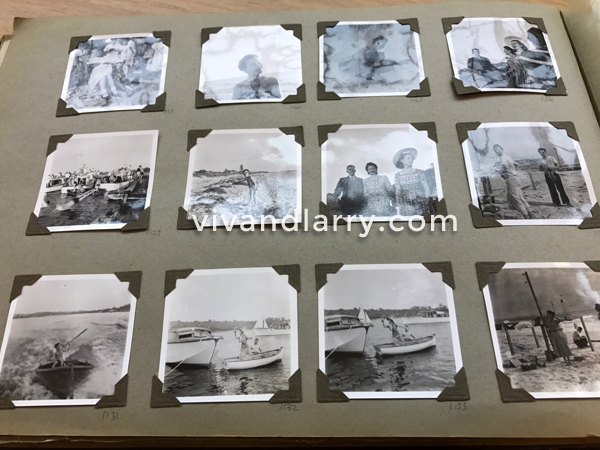 Read about her trip and experience viewing a very special photograph album in this guest blog post. In 1948, Laurence Olivier and Vivien Leigh led The Old Vic Theatre Company on a tour of Australia and New Zealand. It was a symbolic gesture by the British Government to thank both countries for their war efforts. The yearlong tour, was the most influential by a Shakespearean acting troupe in that it brought to the Antipodes a type of highbrow culture that had never seen there before. Olivier, the finest Shakespearean actor of his era, with Vivien Leigh his glamorous, famous, talented wife, made a dashing couple. Together they were treated like royalty and indeed, by 1948, they were known as the ‘King and Queen of the English stage.’ Newspapers wrote of nothing else, they were continually mobbed, invited to society balls, to give speeches, address Parliament, dine with leaders, lecture and scout for local talent. They were the first celebrity couple to be hounded by fans, media and idolized. Olivier spoke much to the press and at lectures, encouraging Australia to establish theatre schools to prevent talent from going overseas. His speeches caused ripples in theatre circles and prompted fresh ideas and thought. It would encourage other theatre companies to tour Australia and contributed to a Shakespearean boom in the 1950s. The tour was a wonderful success, remarkable, influential, and fondly remembered by many. But it also marked the beginning of the end of one of the greatest love stories of its day. The Olivier marriage, which had come at a great cost (they had both abandoned their spouses and children to be together) never recovered from the stress, strain and exhaustion of the tour. Both suffered health issues with Olivier needing knee surgery in Auckland, and Vivien constantly suffering colds. It was also in Australia where they met Peter Finch, whom Olivier would go onto mentor and with whom Vivien would have an affair, causing irreparable damage to both the Olivier and Finch marriages. Olivier would later recall that he had in fact lost Vivien, his greatest love and inspiration, in Australia. He wrote in his autobiography, “Somehow, somewhere on this tour I knew Vivien was lost to me. I, half-joking, would say at odd moments after we had got back home, I lorst you in Australia”. Page from the ‘Athol Shmith album’, National Library of Australia. Canberra, the Capital Centre of Australia is about a 7 hour drive or one hour flight from Melbourne, where I live. I had last been there on the mandatory politics tour from school many, many years ago. Most Australians love to say that they don’t like Canberra because it is synonymous with being our boring administrative centre, lacking character and soul; another reason why I kept putting this trip off. This time however, I was pleasantly surprised. It’s very clean, safe, pretty and most importantly, there’s a smorgasbord of attractions for the culture/history-craving visitor to enjoy. I chose to stay at The Hyatt Canberra, because of course, I always prefer a place with a story. It’s the oldest hotel in Canberra and was specifically built for visitors and parliamentarians back in 1924. The building itself was built in a Prairie style to evoke a welcoming atmosphere of a country estate. The hotel’s page of history says “Its precise angular forms, white rough cast walls and red tiled roofs, coupled with the arrangement of the pavilions around two garden courtyards, set a popular standard for subsequent buildings in Canberra.” Many political plots are said to have been contrived and consummated in its smoke filled rooms over the years. The National Library of Australia stands proudly on the shores of Lake Burely Griffin. It’s a fitting place for anything Vivien Leigh-related to be housed in my opinion. The album, which has to be requested by appointment, was to be viewed in the special reading room, on the first floor. I was asked to sit right in front of the reception counter desk when I was handed the box containing the album. My first feelings, upon unfolding the box that contained it was a deep sense of sadness. The front cover has their initials and is just titled ‘Australian Tour 1948’. It looks tired, worn and forgotten. Carefully turning the pages, one gets a never before seen look into the real world that the Oliviers lived in during that one year – away from the stage, the media and mobs. The first few pages show the company on board the SS Corinthic on its way to Fremantle. The first picture glued to the back of the cover is a version that is featured in Garry O’Connor’s book of the tour titled Darlings of the Gods, and shows the main players of the company sitting and standing with the Captain. Olivier is checking out the camera around his neck (most probably the one from which the album’s photos originated) and Vivien is sitting next to him holding her famous white sunglasses and smiling. 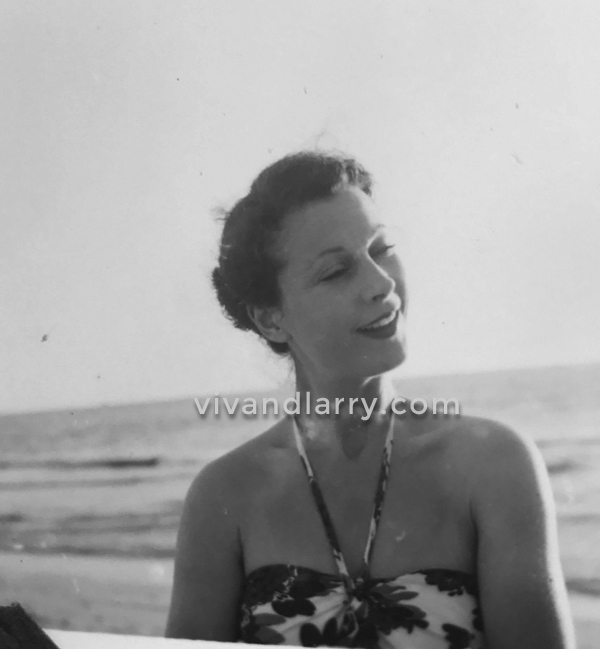 The next few photos show Vivien at the wheel of the ship, a recognizable scarf around her neck, sweater and woolen pleated skirt. There are many of the company playing popular games, lounging around on the decks, swimming, sunbathing and reading. One gets the sense of a leisurely intimate cruise. They are all casual shots and there are no photos of dinners at the Captain’s table, dancing or practicing their plays. Once in Australia, we see many landscape photos. They are very good and well composed. The photographer shows an appreciation to nature, farms, animals and native flora. Olivier had said upon arriving on Australian shores that they intended on seeing every kind of animal and bird there is and learn as much about the country that they could. The photos are a testament to that. Vivien Leigh, possibly photographed by Laurence Olivier, in Australia, 1948. Continuing on there are many photos of the couple being entertained by people in their homes and what appear to be country estates. One particular series show Olivier playing with a white dog on the steps of a house, Vivien sitting in a cane lazy chair, eating and smoking. Clearly the owners’ white dog got a lot of attention that day, including being the subject of his own photos. There are pictures of picnics on random country side roads, beside rivers, bridges, and many beach trips. It’s obvious that the the Oliviers had mostly picked to stay in houses instead of hotels on this trip. I believe it was a preference they both had whilst on tours. I was most surprised by a few photos showing them staying in what appears to look like a very ‘out-backy’ basic wooden home, in front of a lake. It looks like in the middle of nowhere. By the looks of the house style – wooden on stilts – and landscape, I’d say it’s in North Queensland. A poignant shot shows Vivien combing her hair on the verandah, towels casually draped on the wooden railing. They look like ordinary country folk at home on an Aussie outback farm. 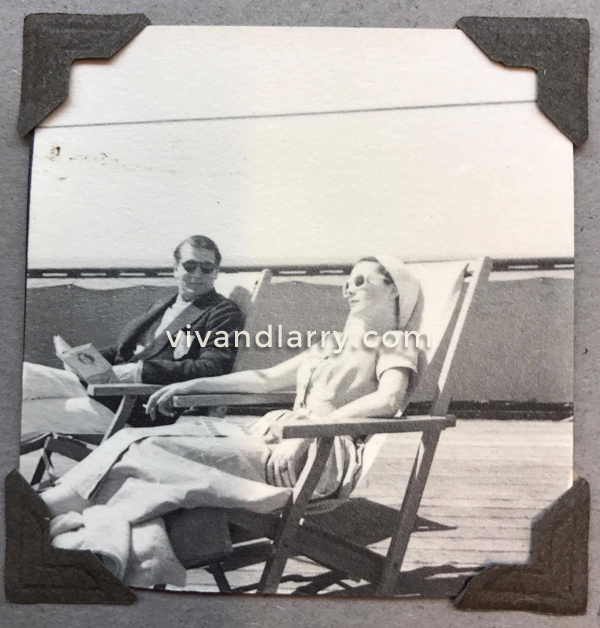 The Oliviers lounging in the sun onboard the SS Corinthic, 1948. Photographer unknown. Intermingled with these casual photos, there are a handful of formal shots that we have been privy to before and have been digitized by the library. I have also noticed some photos taken in the same setting, which are from these series, in private collections. The hundreds of casual photos cast a light on a side of the tour that is not conveyed in the mirage of newspaper articles, formal and press photos, video footage, and in Garry O’Connor’s book. There are many photos missing and some are disintegrating. There was also no information on the back of the photos I checked. 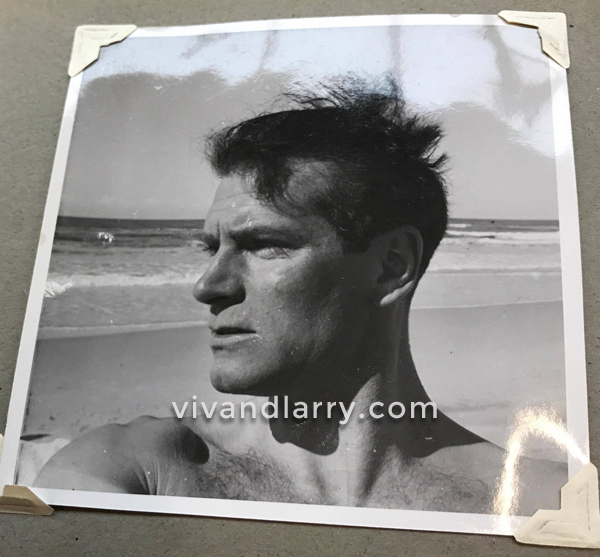 Possible selfie of Laurence Olivier. Australia, 1948. What one does see in the images is a company that truly had an authentic experience, a photographer that captured the amazing uniqueness of Australia, who appreciated its people, land, native flora, animals. The images illustrate a couple that played games, frolicked in the sun and sand, and looked after their company as God and Angel (the name the crew gave them). Most poignantly captured are the special but ordinary moments of happiness that speak a thousand words, and which they must have remembered for years afterward. If I had to pick one picture that stays in my mind from this album, it will be the one of Vivien walking by herself on a hilly country road, far away, back to the camera, sun light streaming through the trees and ferns. She’s walking away, she’s leaving. Whoever took the picture was watching her from a distance. Maybe it was Olivier that captured this moment and maybe that was the moment he lost her in Australia. Wow – truly a rare find and a rare treat! Is there any way to persuade the library to digitize this album so that it’s safe? What a shame if these rare photos disintegrate! Did Shiroma more pictures of them we could look at? A love that lasted an eternity. For Vivien. love the pics, well done shiroma. Thanks for that brilliant description,Shiroma.I have visited Canberra from Sydney on many occasions ,both for business & pleasure & can’t believe that I have been so very close to this spectacular album and not known about it.My parents-in -law worked there for many years and eventually owned a beautiful property about 40minutes out of Canberra which I and my husband frequently spent the weekend ,or if lucky,longer visits. It is the same as most cities in that if you are lucky enough to have a guide who is also a local, you will be party to many places only known to “the locals”.I loved visiting in Autumn when the many deciduous trees, not native to the rest of Australia , displayed every beautiful shade until they fell to the ground.As Australia`s capital city, the planning by it’s architect Walter Burley Griffin, is evident in the long avenue which lines up the War Memorial with Parliament House.When deciding on the location for the countries capital,there was apparently much competition between Sydney and Melbourne,until it was decided with questionable wisdom(?) that the new Capital be located approximately in the centre between the two cities.Therefore,unlike most cities, it was carefully planned and even the massive lake ,although it flows from a large river, was artificially created.By the late 1980`s it had settled comfortably into it’s surroundings,the many beautiful European trees had grown ,and with it`s many beautiful public public gardens , National Art gallery featuring Australia`s largest indigenous art collection and many international art tours, it had become a very unique place to visit. I have visited the High Court & National Library , which holds many important Australian documents, and as I am now aware,this very special album featuring candid (my favourite type!) shots of the actress I have been a great fan of, since I was twelve years old.I am now very keen to once again visit Canberra ,next Autumn/Winter (I have MS and the hot weather does not agree with me) & make an appointment to visit this special album.In the meantime,I will attempt to contact the National Library and encourage them to begin digital preservation at least; and preferably conservation of the album itself. I will advise you of my results!! We’re you successful in your attempts to have the album digitised? I believe peter Cushing and his wife Helen beck where also in the old Vic company on the tour and terence Morgan and his wife I can’t recall her name unfortunately. Morgan and cushing where both in Olivier’s film of hamlet made in 1947. Also on this tour the Olivier’s met peter finch.